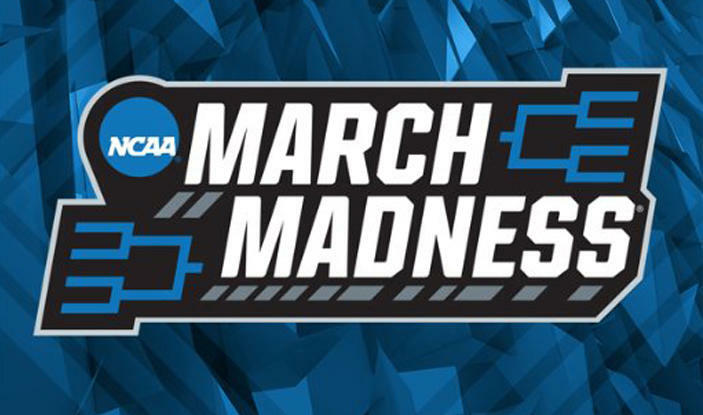 The NCAA men’s basketball tournament second round starts Thursday and while 68 teams will be playing and thousands of students will be cheering on their respective teams, millions around the globe will also be watching to see if their picks advance to the next round. Below is a region by region break down of favorites, dark horses and cinderella stories for this years NCAA tournament. According to the NCAA’s official website, the odds of a perfect bracket are one in nine quintillion. Here are my picks in who I think will win the tournament. The east region is headlined by the number one overall seed Duke Blue Devils. They are led by the duo of Zion Williamson and RJ Barrett, who are projected to be drafted in the top three at this years NBA draft. There is a reason they are the top rated team in the draft but there is also cause for concern. They shoot just 30 percent from the three point line, which ranks 340th in the nation. However the sheer talent they have on the team should be enough to at least get them to the Elite Eight. In this region it is hard to see a team that can match the elite play of Duke’s talented freshmen so instead lets look at teams that have an individual star who could carry a team to victory. The Michigan State Spartans have Cassius Winston, who is averaging 19 ppg and 8 apg, and has been the Spartans go to guy for the entire season. Another team that is flying under the radar and has a great senior point guard is Virginia Tech. Justin Robinson, who sat out the last few games of the year with a foot injury, is back and ready to lead the Hokies. Robinson averaged 14 points and 5 assists per game this year. If I told you there was a team in the east region that had a player averaging 21 points and 11 rebounds per game, you would probably pick that team to go pretty far right? Well the Belmont Bruins have a player doing just that in Dylan Windler. After receiving an at-large bid and winning their play-in game on Tuesday the Bruins have the momentum and the star player to become the next story of the tournament. While Virginia is the top seed in the South region, I believe it is actually the Tennessee Volunteers who are the leading candidates to emerge out of the South Region. Virginia has struggled in the NCAA tournament in the past and have not made the Final Four since 1984. 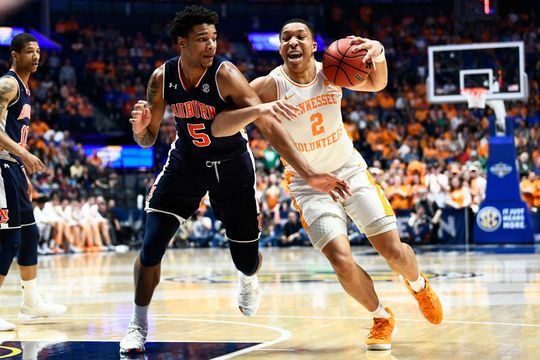 The Volunteers are led by the two-headed monster of Grant Williams and Admiral Schofield who averaged 19 and 17 points per game respectively. They were also the top number two seed according to the committee and just missed out on a number one seed. Virginia should reach the Sweet Sixteen but I like Tennessee to go all the way to Minneapolis. The Kansas State Wildcats would generally fall under this category but the health of star forward Dean Wade has thrown their entire tournament into doubt. The Wildcats are a team that can struggle to score at times and Wade is a stretch four who makes it a lot easier for them. Without him they will lean on Big 12 defensive player of the year Barry Brown and the ultimate utility guy, Xavier Sneed. Teams that win their conference tournaments enter the tournament riding a wave of momentum that can carry them far. The Oregon Ducks were not thought of as a tournament team going in to the Pac-12 tournament but won their way in and now sit at a 12 seed facing off against the Wisconsin Badgers in the first round. The Ducks lost their star center Bol Bol early on in the year and since then their scoring has been more balanced and they are in the top 35 nationally in steals per game. Look for the Ducks to continue their momentum during the NCAA tournament. The Midwest is led by the top seeded North Carolina Tarheels. What makes the Tarheels so tough is that they have ball handling and passing at all five starting spots. Senior forward Luke Maye has played in multiple Final Fours and won a national championship two years ago, giving them the experience to handle the pressure of the NCAA tournament. The team isn’t as effective inside as they have in the past but the scoring of Cameron Johnson, Colby White and Maye should be enough to get them to at least the Elite Eight. This is my favorite dark horse in the entire tournament. The Iowa State Cyclones have everything it takes to make a deep playoff run and are coming off the Big 12 tournament championship. Their best player, Mariol Shayok, plays hard on both ends of the court. He averages almost 20 points per game and is the Cyclones best defender. They also have one of the nations strongest bench players in Lindell Wigginton. He averaged 14 points and won the Big 12 sixth-man of the year award. Add all that with solid point guard play from Nick Weiler-Babb and you have a team that has all the talent to make some serious noise late in the tournament. While a seven seed isn’t generally considered a cinderella, the Wofford Terriers are the type of cinderella team that actually has a shot to make a deep run. They finished the season winning their conference tournament and are coming into March Madness with a lot of confidence. Fletcher Magee is averaging over 20 points per game and the Terriers have three players shooting over 42 percent from the three point line. They face a potential matchup with the Kentucky Wildcats in the second round but if they can get past them they have a great chance to make at least the Elite Eight. This is the region that, to me, doesn’t really have a favorite. The top three seeds are all extremely even. The number one seed Gonzaga Bulldogs, the number two seed Michigan Wolverines and the number three seed Texas Tech Red Raiders are all teams who have a chance to be in Minneapolis. I think the Red Raiders are the favorite simply because they play the most complete game out of the three. According to most metrics they play the best defense in the country and they have enough scoring from players like Matt Mooney and Jarrett Culver to carry them during games that their outside shooting isn’t falling as much as they would like. One of the best scorers in the country is playing in this region and he doesn’t play for any of the top four seeds. Markus Howard of the Marquette Golden Eagles is averaging 25 points per game and is shooting over 40 percent from the three point line. Sam Hauser is also a solid big man who is averaging 14 points and seven rebounds per game. The Golden Eagles have the scoring to compete in any game which makes them a dangerous out in the West region. Ironically my dark horse and my cinderella picks for this region are playing each other in the first round. The Murray State Racers won their conference tournament and secured a 12 seed in the NCAA tournament. They are led by star point guard Ja Morant, who is a projected top five pick in this years NBA draft. Morant is averaging a double double with 24 points and 10 assists per game.